March 15, 2012 by LindaJoy Rose . Posted in " News " . 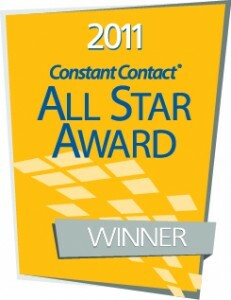 Tags " All Star, award, Constant Contact, Mind and Spirit, monthly news, newsletter, Recipes for Body " . 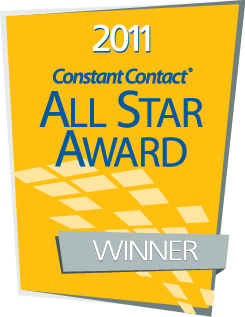 We were excited to receive the news today that we were named “All Stars” by Constant Contact in recognition of our monthly newsletter. Selected from over a half million customers, this is indeed an honor as a lot of time, work and love goes into creating each month’s “Recipes for Body, Mind and Spirit” — cutting edge information that is designed to guide you into making more informed decision about how to best fuel and inspire your family’s vitality. This is especially gratifying as we believe that Constant Contact offers superior marketing tools and spectacular customer service. We have been using CC for over 5 years now. Have you experienced any of our newsletters? You can see archived versions below of the last four issues. 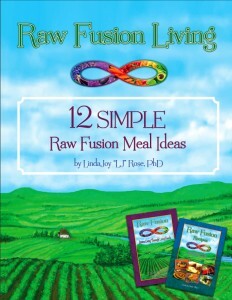 If you like what you see, to the right there is a subscription box where you can sign up to automatically receive the newsletter each month and receive a free ebook “12 Simple Raw Fusion Meal Ideas.” Your privacy is always protected and you can unsubscribe at any time. OUR APRIL NEWSLETTER WILL BE OUT THE 3RD WEEK OF APRIL – SIGN UP NOW! If you have any difficulty getting the download for the free ebooklet, send an email to lj@naturalwellnessacademy.org.